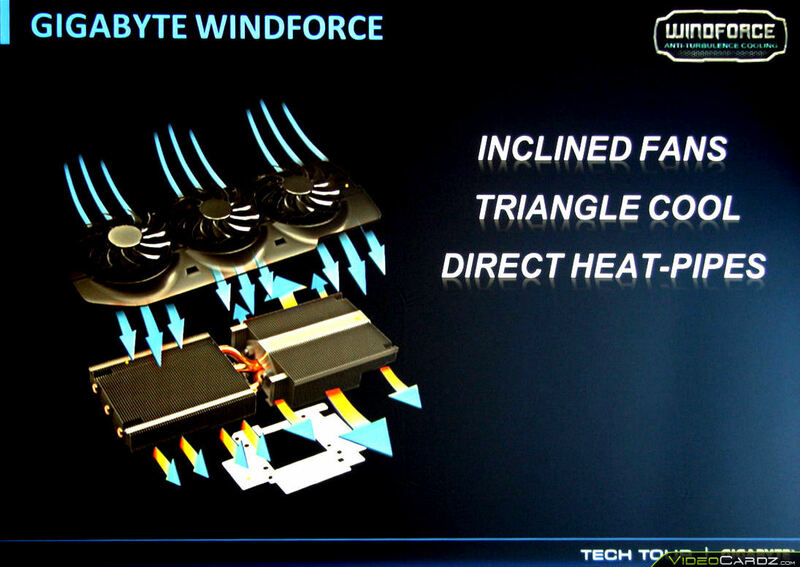 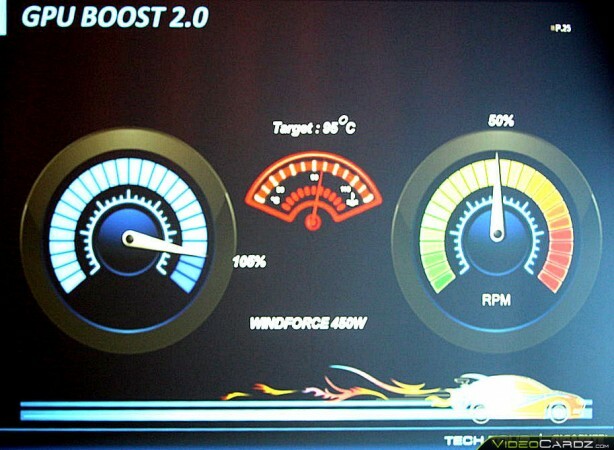 ComputerBase had the opportunity to see the new Gigabyte GTX Titan with WindForce3X cooler in action (unfortunately, only on the slides). 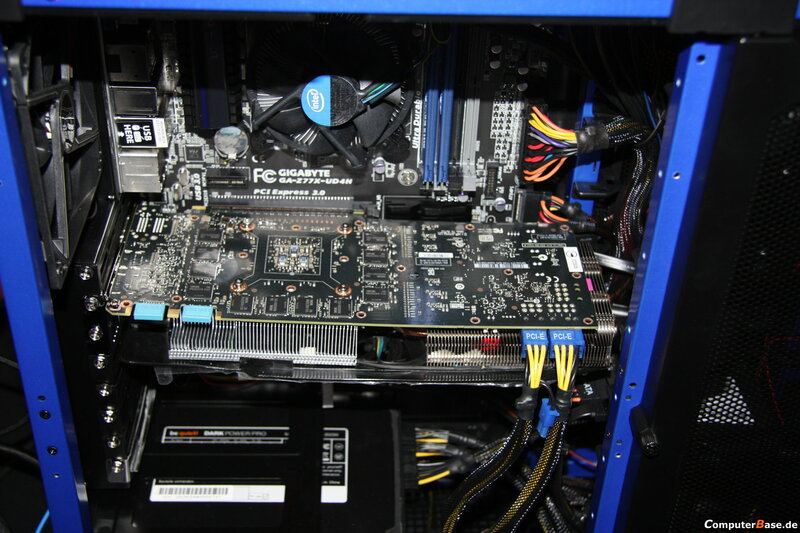 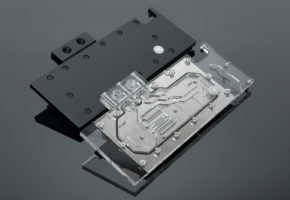 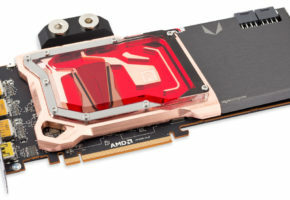 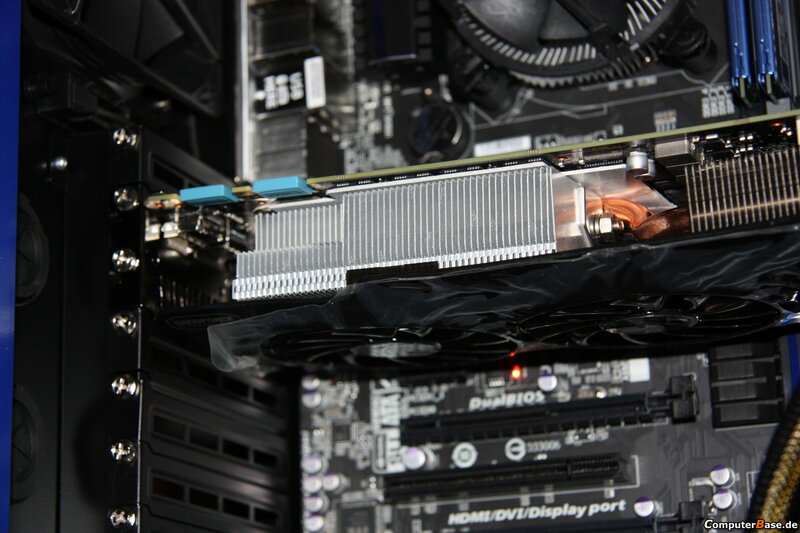 Few days ago we wrote about the new custom graphics card cooler made by Gigabyte. 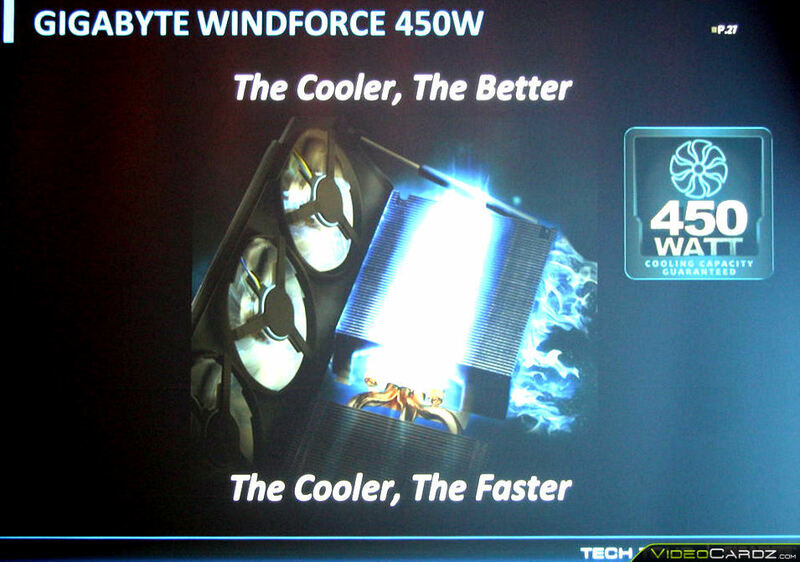 It appears that the official name of it is WINDFORCE 450W, not 3X as we first thought. 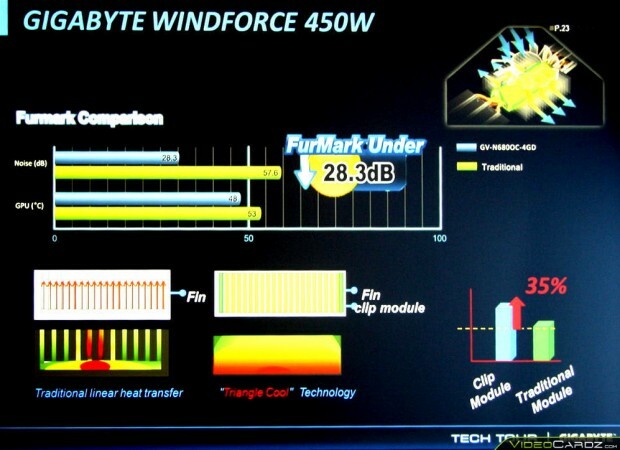 Thanks to a report made by guys over at ComputerBase, which participated in Gigabyte’s Tech Tour, we learn new facts about it. 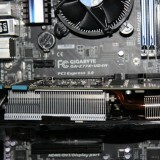 The WINDFORCE 450W is a dual-heat sink solution, with direct heat pipes in between (Clip-Module technology). This design would supposedly increase the cooling effectiveness by 35%. 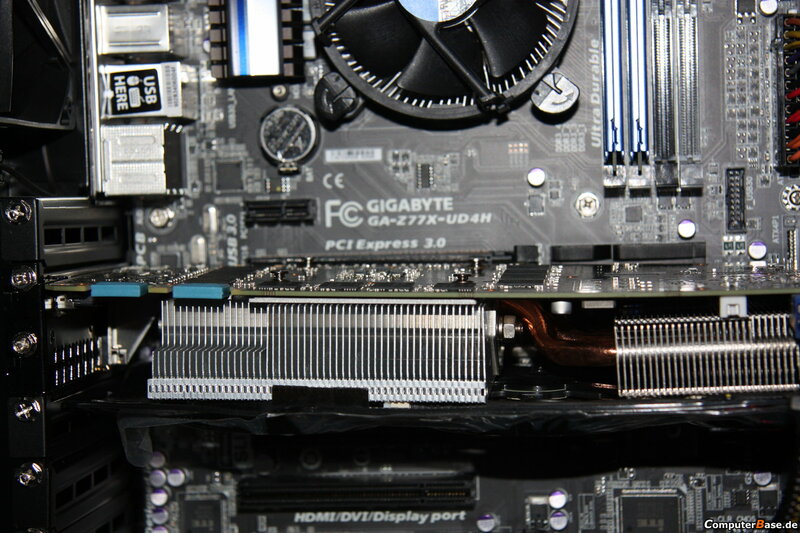 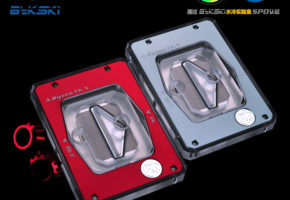 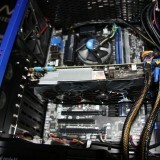 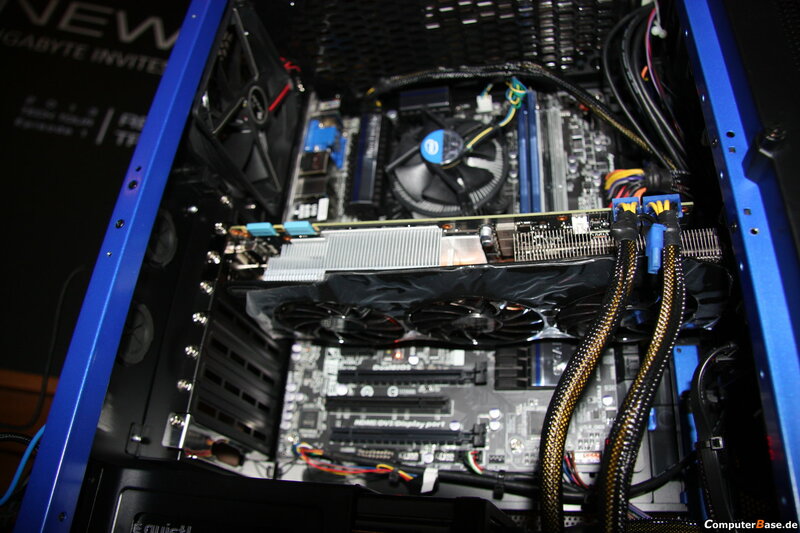 Also the fans are slightly angled, thus improving the direction of the airflow. 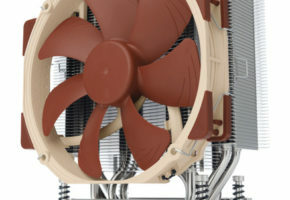 Under FurMark the new cooler would perform much better than the reference model, with a main focus on the noise level rather than temperature itself. 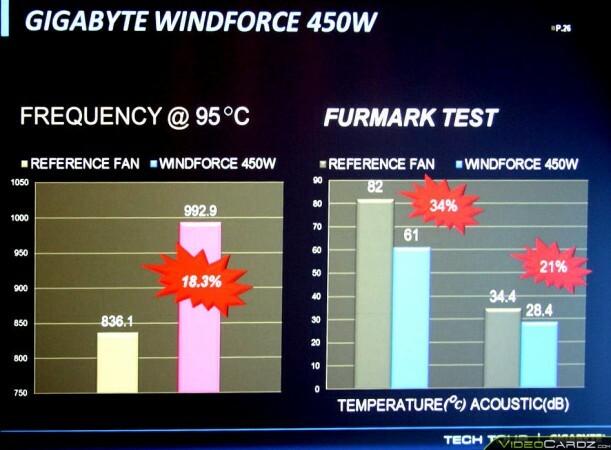 The chart however, is showing the GTX 680 4GB model in comparison to it’s reference counterpart. 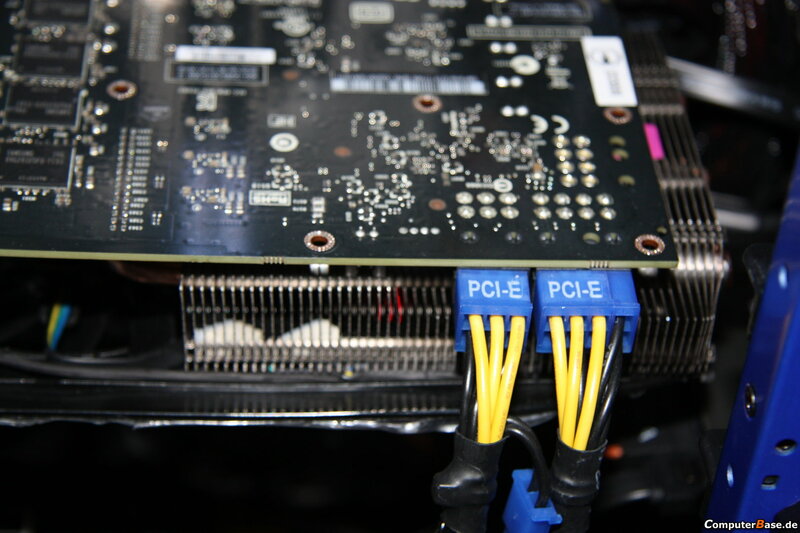 So it’s hard to translate this into Titan’s GPU Boost 2.0 effectiveness. Moving forward to other charts, we can learn that the maximum clock speed of GTX Titan with WINDFORCE 450W cooler at a temperature of 95 C has increased by 18.3% with a peak of 993MHz (837MHz for a reference). 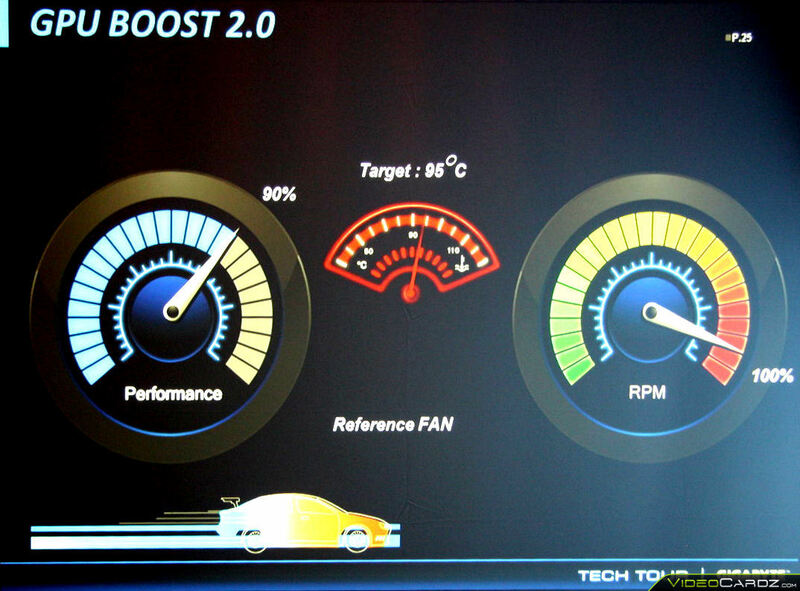 Other figures show a 34% lower temperature and 21% quieter operation. 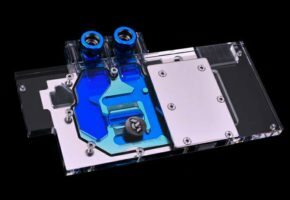 According to the source, Gigabyte will not sell GTX Titan with this cooler, as it was made only for the purpose of demonstration. 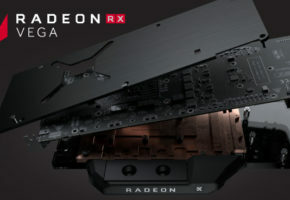 I’m not sure if this is anywhere near the truth, but if it is, then I assume that NVIDIA told them to drop the project and the rumors about a ban for custom solutions was indeed true.